Eleven years after she was kicked out of the military under Don’t Ask, Don’t Tell,  veteran aviator Lissa Young has returned to West Point. Armed with a 2013 Harvard doctorate, at the age of 52, Young is finishing her first semester as an assistant professor teaching general psychology. 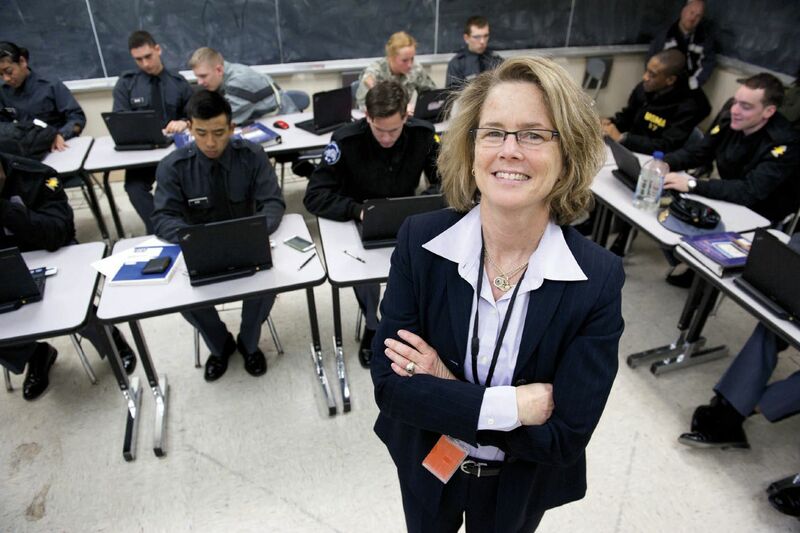 In March, as a civilian, she stood before a class of freshman cadets, called “plebes,” who seemed as nervously excited as she was about the day’s touchy topics: love and sexuality. To recapture the academy’s attention, Young in 2005 applied to graduate programs at the most prestigious universities, only to be turned down by all of them, twice. In early 2007, former West Point colleague Scott A. Snook, by then at Harvard Business School, had her speak at the Kennedy School’s Center for Public Leadership , which led center director David Gergen to ask her to help integrate aspects of military leadership into its curriculum. That spring, the Harvard Graduate School of Education accepted her for its doctoral program in education policy, leadership, and instructional practice, with a full scholarship.